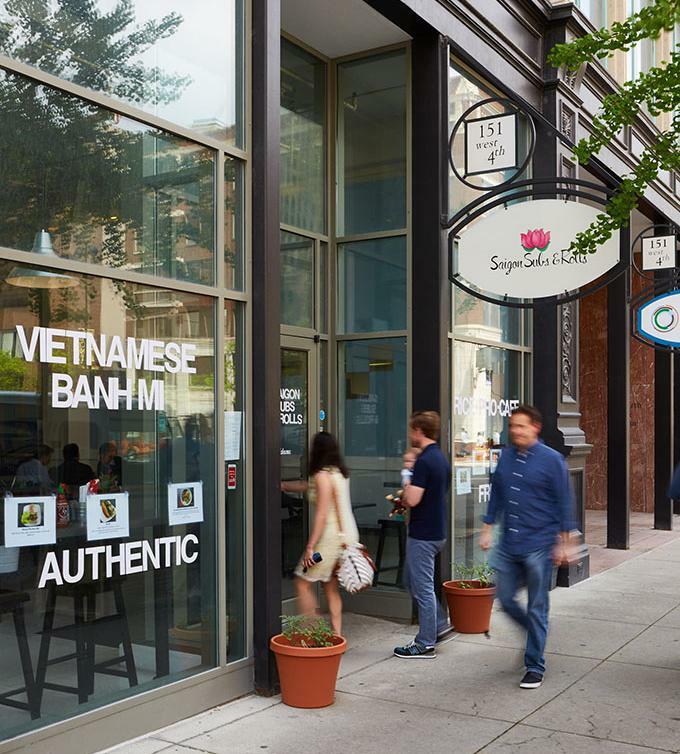 Attention Downtown pho slurpers: You don’t have to hoof it across town to find an authentic Vietnamese meal. 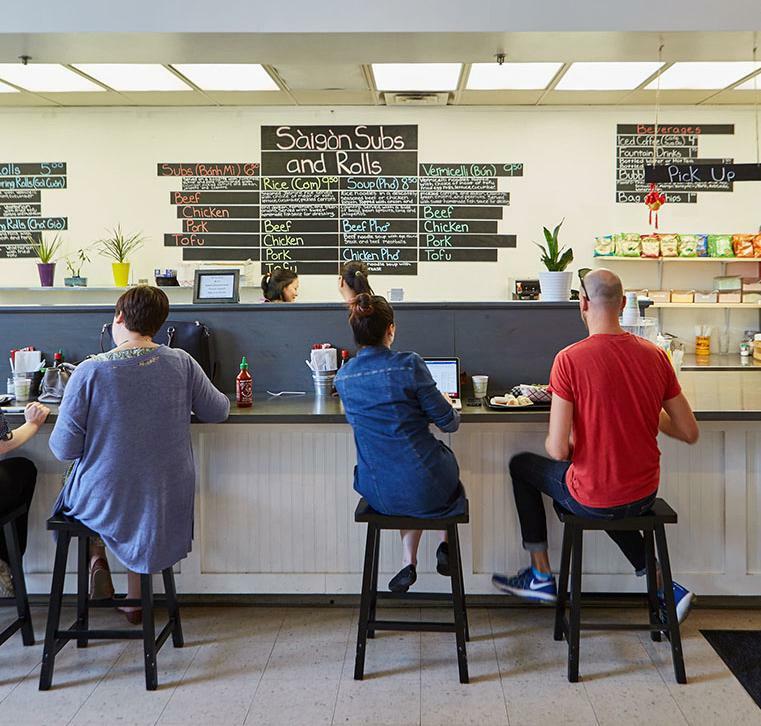 Saigon Subs and Rolls on Fourth Street offers freshly made bowls and banh mis from the storefront formerly occupied by It’s Just Crepes. Chef Thao Phan opened up the sunny, inviting space last October with co-owners Sarah Pennekamp (who is also Phan’s sister-in-law) and Kim Girling. 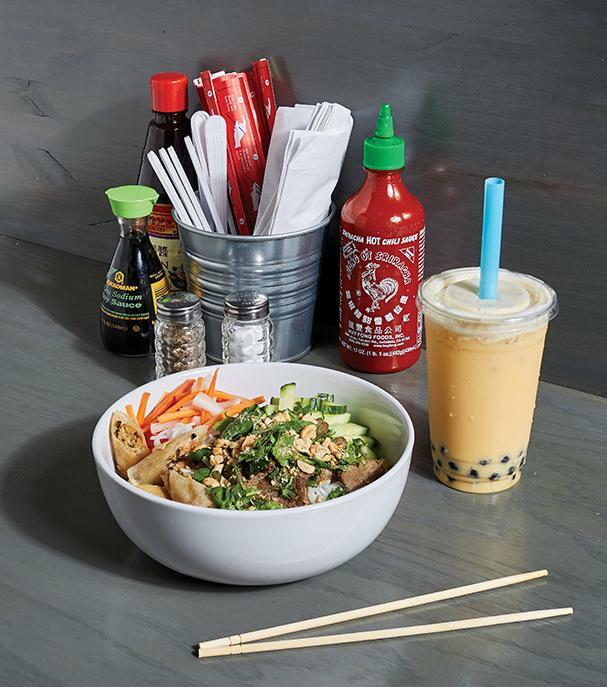 Their pho, bun salads, and rice bowls come with the usual variety of proteins, but meat-eaters should do their bodies a favor and try the tofu, which Phan boosts by marinating tofu strips in lemongrass and five-spice seasoning before pan, not deep, frying. 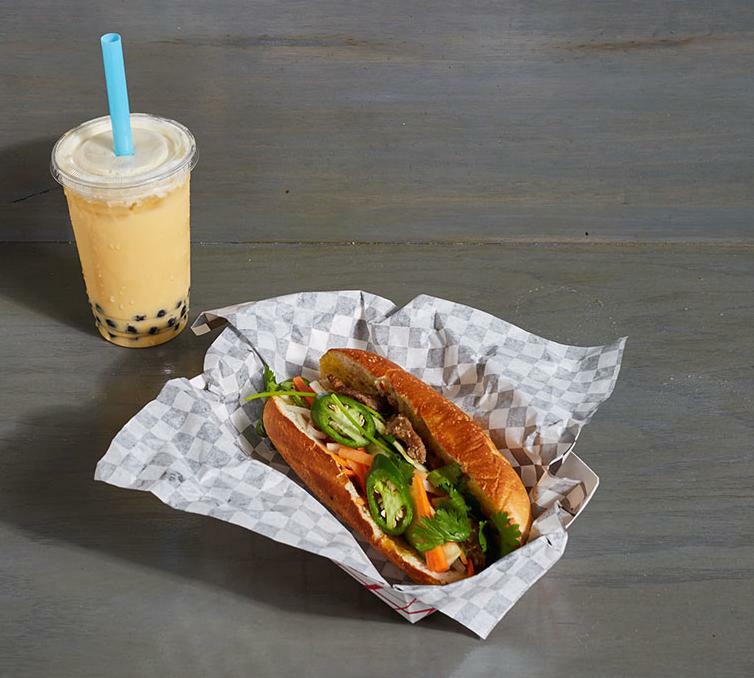 All buns come with traditional accompaniments and a fried spring roll, as well as house-made fish sauce. (To wit: yum.) Phan’s phos, which build on a base of deeply savory chicken or beef broth, contain the precise ratio of noodles to add-ons and provide sinus-clearing clarity (that side of jalapeño slices helps). 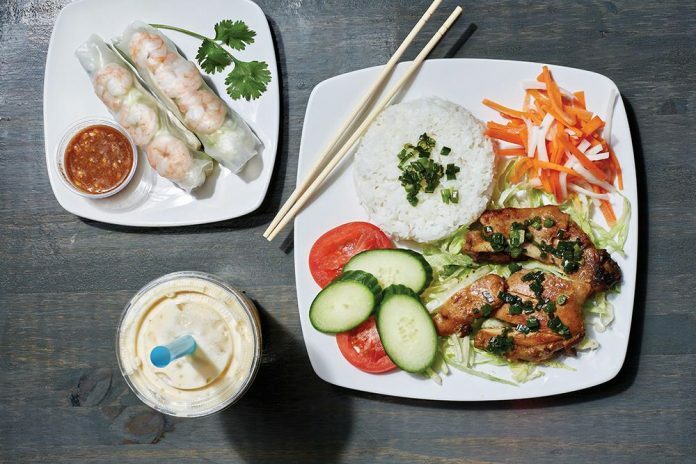 The fresh rolls—crescents of shrimp neatly tucked into a rice paper wrap stuffed with noodles, pork, and lettuce—come in twos with house-made peanut sauce. For bubble tea fans Saigon offers three fruit flavors (mango, strawberry, and watermelon) plus a Thai tea version. Everything is delivered quickly to your table, so the only part of lunch that’s rushed is your walk from the office in anticipation. Saigon Subs and Rolls, 151 Fourth St., downtown, (513) 381-7827, facebook.com/saigonsubsandrolls.